We are often asked this question by prospective students and parents! There are several characteristics that make living at a Residential College at the University of Melbourne unique from other living arrangements. Read about these below to help you with your decision making. 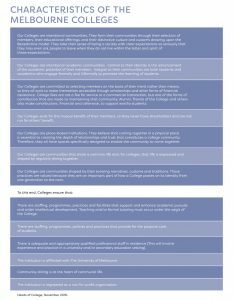 These were developed by the Melbourne Heads of Colleges, November 2016.